Keep you up-to-date on language, methodology, and approaches a fast-evolving industry. Expose you to the newest evolutions in software, tools and tech. Inspire and challenge you with fresh perspectives. Give you practical advise on dealing with tough logistical problems, handling difficult people, and meeting all-but-impossible goals. Help you stay excited about project management through success stories, interviews with leaders, and insider wisdom. 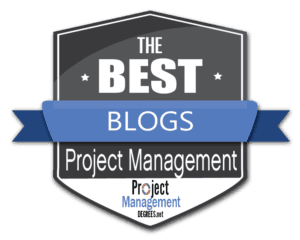 Our list of the Best Project Management Blogs has something for everyone, from software developers to entrepreneurs, from project management beginners to seasoned PMP pros. Explore our blog reviews and entry highlights to discover the project management blog that will keep you informed and inspired, and get you excited about project management all over again. This active project management page on Reddit is “dedicated to project management with a focus on the software development area.” This blog, like all Reddit pages, is simply a community-generated aggregation of threads centered around posts, either discussion topics or links to content. On the project management subreddit, the lively discussions are frequently centered around readers’ opinions and requests for guidance, such as “Can I find Templates Based on PMBOK?” and “Should I Accept This Internship?” Other entries include professional tips for boosting productivity, time management, and generating feedback, along with lots of links to useful project management articles and infographics. Because both new and seasoned project managers post and comment, readers get exposure to a range of perspectives. Best For: Opinions and advice on technical issues, careers and practices in project management from a wide range of perspectives. Project Management Stack Exchange is, simply put, “a question and answer site for project managers.” Here, professionals and project management students alike solicit opinions and post answers. User questions include topics like “What pro forma documents do people use to talk to clients about web development?” “Should a technical person take part of the user stories prioritization process?”, and “Should all team members be expected to do the same amount of overtime?” As with any online community, opinions frequently diverge, and as with all Stack Exchange communities, users can vote any response up or down- and frequently do. The end result is that the most popular responses rise to the top, so it’s easy to see a general consensus on any given problem. On this opinionated page, you may find answers to some of your own concerns among those questions already posted, or you may find yourself asking for ideas or weighing in with your own two cents. Blog Entry Highlight: Best way to evaluate software engineers’ performance? Best For: Answers and opinions on all things project management, especially the field of software development. 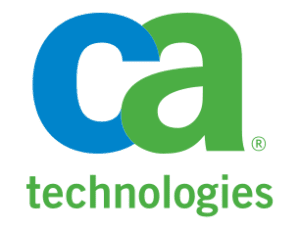 Highlight is the official blog of CA Technologies, one of the world’s largest independent software corporations. This enterprise software-focused blog is dedicated to delivering “the latest thoughts, musings and concepts shaping our world and the application economy.” Some posts are interviews with executives and innovators (mostly CA Tech’s own), others take the form of an op-ed, like “Authentication via SMS Ð Has it become a thing of the past?” or practical tops, like “Five Essential Steps to Shift Security Left.” As a corporate blog, Highlight makes a point of covering the company’s accomplishments and operations, as in “CA executives recognized as ‘Women of the Channel’ for their industry leadership and expertise,” and “7 reasons why CA Automic Release Automation is the Best DevOps Commercial Solution.” But this high-quality blog goes far beyond self-promotion, serving up refreshing insights on technical tools, corporate culture, and approaches to development. Another bonus is the interface; the blog landing page and posts are welcoming and easy to navigate, with a pleasing, image-rich layout. Best of all, users can browse blog entries by category (project and portfolio management, Agile, DevOps, etc.) or by industry (energy, finance, healthcare, retail etc.) in hands drop-down menus. Even when these software-related project management blog posts get highly technical, the tone of each piece is friendly, and often quite funny, making this on of the most readable project management blogs around. Best For: Readable and entertaining software development project management insights, perspectives, and news, particularly in enterprise software. Capterra is the leading online resource for business software buyers, and has been supplying validated user reviews and independent research around since 1999. The company hosts a total of 24 blogs, with industry-related topics like “B2B Marketing” and “Nonprofit Technology.” Their project management blog promises to help readers “find and learn about the right technology and software to simplify project management.” The company gives coverage to both its own software clients and unpaid vendors, so blog readers can feel confident that they’re getting more than an embedded sales pitch in the blog’s reviews and highlights. This project management blog is all about the resources- tips, tricks, shortcuts, and plenty of product reviews. Recent posts have covered such practical topics as ” Todoist vs Wunderlist (Microsoft To-Do): Task Tools Go Head-to-Head” and “5 Evernote Alternatives to Organize Your Life and Business.” There are also occasional just-for-fun pieces, like “4 Things Science Fiction Predicted About Modern Project Management.” Blog posts tend to be very readable- informative but casual in tone, and loaded with links and images. Unlike many industry-specific project management blogs, Capterra offers mainly insights on on time management, team-building, budgeting and other content that’s applicable across industries, and includes posts relevant to both beginners and pros. Best For: Widely-applicable project management resources, especially unbiased guides to project management software. 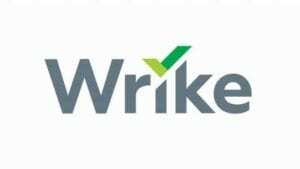 Wrike is the maker of an eponymous a collaboration and project management software service that’s powerful, flexible, and well-suited for small businesses and enterprises. Their project management blog bills itself as a resource for “tips, stories, and new approaches to work management, collaboration, & productivity.” Like the company’s application, the Wrike blog is simple, visually clean, and user-friendly. The content can be read in typical chronological fashion, or browsed by topics like “Collaboration,” “Wrike Tips,” and “Project Management,” and all posts are labeled by time required to read (usually bite-sized chunks of 3-10 minutes). Blog topics have wide applicability, and include content like “7 Tactics to Galvanize Your Team Around Company Goals,” “5 Tactics to Ensure Others Don’t Screw Up Your Deadlines,” and “4 Reasons Why Communication Fails (And What To Do About It).” Expect to see occasional posts on the benefits of Wrike software, and other product-related content. Best For: Project management career opinions and advice from a range of perspectives. 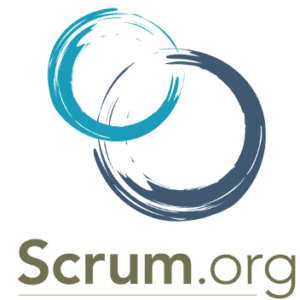 Drawing from Scrum principles and the Agile Manifesto, Scrum.org is a nonprofit entity providing training, assessments and certifications to the software development and delivery industry. The Scrum.org blog is intended to “help those new to Scrum and those who are experienced learn more from the Professional Scrum Trainer community.” Needless to say, most posts on this project management blog relate to the practice of the scrum methodology and the software development industry. 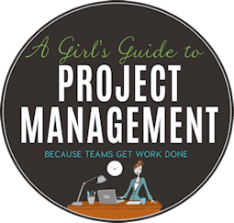 With a large team of contributors, this project management blog updates with astonishing frequency, and there’s a wealth of back content to peruse. Because all posts are searchable by keyword or can be browsed by topic through a drop-down menu, you can find information on almost any Scrum-related topic. Recent posts have covered topics like “Twenty Top Fails in Executive Agile Leadership,” and “Understanding the Kanban for Scrum Teams Guide.” Most entries are focused on best practices- how scrum leaders and practitioners can improve their performance. 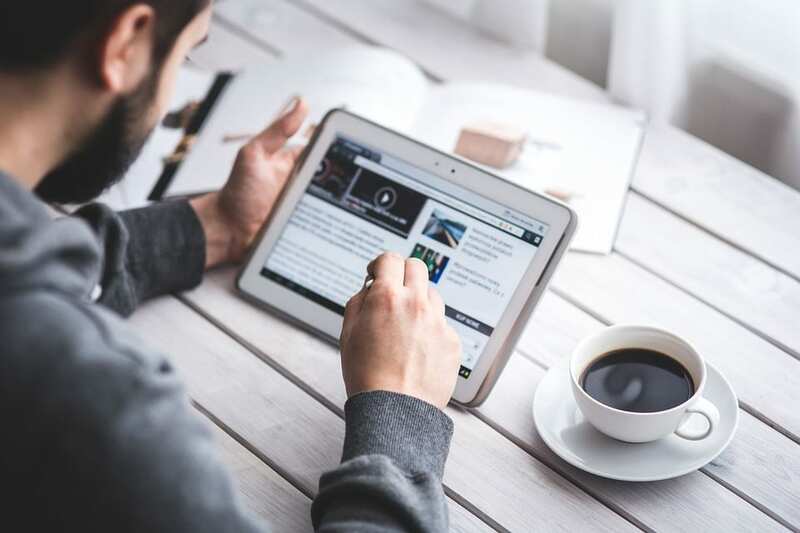 Blog posts read like full articles, and tend to be long, comprehensive, and information-dense, though the language is clear and direct rather than dry. Best For: Tools, advise, and professional insights for practitioners and trainers working in the scrum project management methodology. project-management, customer support, and internal communications. With the company’s focus on time management and communication, it’s no surprise that their corporate news and project management blog is packed with succinct and highly readable posts. The majority of these, as could be expected, cover news and product tips related to the company’s own software, such as “How a Web Agency Uses Teamwork Projects for Accountability and Workflow Management,” and “Report Bugs Immediately with the New Instabug and Teamwork Projects Integration.” There are plenty of other articles, though, that apply outside of the Teamwork.com framework, such as “How to Track Time without Being Big Brother” and “How to Run Effective One-on-One Meetings.” Articles such as these will be especially relevant for Teamwork.com users looking to make the most of their project management software. Many other blog post, such as “How We Encourage Continuous Learning at Teamwork.com” create a bridge between the company’s own behind-the-scenes operations and users’ business operations by offering up insights on how the company boosts productivity. Project management blog posts tend to be informative and succinct, and to include lists or Q and A’s for readability. Best For: Product tips and corporate insights on Teamwork.com’s project management software solutions. Company founder, Mike Cohen, has been blogging since 2005, so there’s plenty of project management blog content to be found on this site. 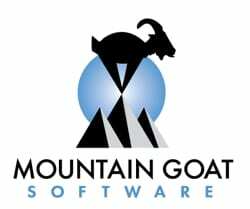 The Mountain Goat blog aims to provide “practical and actionable advice, tips and guidance for creating high-performing teams,” and focuses primarily on software development Scrum and Agile. In addition to blog posts, the landing page has links to presentations, videos and more. Each blog past is a quick, 3 to 5 minute read, and frequently features clever illustrations and humorous quips. There are informative project management posts like “Why Getting to Done Is So Important,” and ” Eight Tips to Become the Scrum Master Your Team Needs,” as well as lighthearted-but-practical blog posts like ” Ten Things the Beatles Taught Me About Being Agile,” and “Cross Functional DoesnÕt Mean Everyone Can Do Everything.” As the company founder and sole blog contributor, Cohen consistently writes from the perspective of a seasoned leader, and uses clear, direct, and simple language to convey his advise to project managers. 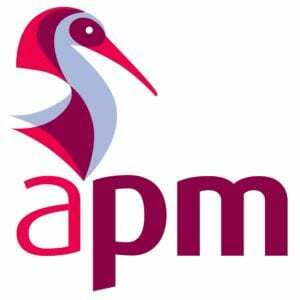 The Association for Project Management (APM) is the British equivalent of the Project Management Institute (PMI), a nonprofit organization which develops and promotes the professional disciplines of both project management and programme management in the UK. The APM’s blog is updated multiple times per week, and covers several sortable categories, including “governance,” “planning,” “professionalism,” and “project management.” In following this informative project management blog, U.S. readers will need to be aware of international differences in terminology and regulatory guidelines. In the UK, for instance, PRINCE2 is the standard methodology in government project management, and the gold-standard professional credential in the field is that of “Chartered Project Professional (ChPP)” rather than “Project Management Professional (PMP). In spite of such differences, American readers can learn much from this straightforward resource, through widely applicable project management blog posts like “Spotlight on diversity and inclusion excellence in project management,” “Is the project Gantt chart still relevant today?” and “3 Keys to successful digital transformation.” Most articles take between 5 and 10 minutes to read, and are straightforward and professional in tone. With the help of a drop-down menu, project management blog posts can be searched by keyword or sorted by topic and by professional target audience- beginner, intermediate, or advanced- making it easy to find relevant content. Best For: Brief, formal, and informational project management blog posts from the UK’s official professional organizing body. Back in 2002, VersionOne helped pioneer the agile management tool, and is the only enterprise software company that has been entirely dedicated to agile life cycle management since its founding. 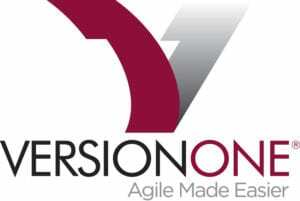 VersionOne remains a leader in all things Agile, and practitioners of this popular software development project management methodology will find much to love in the company’s blog, which presents “best practices in scaling agile, SAFe, DevOps, and more from VersionOne experts, partners, and thought leaders in the global agile community.” This software- and agile-centric blog’s posts are divided into three categories: Agile and DevOps Management, Products and Developers. Most project management blog posts fall into the first category, and include such topics as “The Push and Pull of Software Delivery: The Case for Kanban,” and “What Matters Most for DevOps Value Stream Efficiency.” Articles vary considerably in length, ranging from about 10 to 30 minutes’ reading time, and are clear and professional in tone.As a corporate blog, posts occasionally cover company highlights and product tips and tricks, such as “SAFe PI Planning Goes Paperless at MasterControl,” “Integrate Agile & DevOps with VersionOne,” and “2018 Winter VersionOne Product Release,” many of which may prove useful to VersionOne product users. Best For: Corporate enterprise software development project management blog with a heavy focus on agile and DevOps. Formerly known as Teambox, Redbooth is a web-based and on-site collaboration tool and communication platform. The company’s project management and productivity blog is divided into nine categories, such as Company Updates, Project Management, Remote Work, Personal Productivity, and Gantt Charts. This project management blog’s posts are friendly and upbeat in tone, with bright, peppy graphics. Most take about 20 minutes to read, and offer up project management tips with a touch of humor. Blog topics are often beginner-friendly and applicable to a wide range of fields, with subjects like “A Super-Quick Guide to PERT, Critical Path, and All the Other Ways to Manage a Project,” and “Collaborative Project or Too Many Cooks?” Because Redbooth products are invested in Gantt charts and collaborative platforms, you’ll find plenty of chart templates here, as well as lots of tips and solutions to avoid common pitfalls in office collaboration. Best For: Project management and collaboration guidance, lightened up with humor and fun graphics. Projectmanagement.com is a project management resource hub, and member of the Project Management Institute (PMI) family. The site gives free access to thousands of project management articles and hundreds of templates, along with webinars, forums, tops and professional advise. The ProjectManagement.com blog is actually a hub for individual community members’ blogs, and the range of topics and quantity of archived material is considerable. Each blog tends to zero in on its own area of focus within the field of project management, with such title as “Vision to Value: Executing Strategically Focused Initiatives,” “Game Theory in Management,” “Certification Insider,” and “Project Managers Without Borders.” The sheer volume of content on this site can be overwhelming, and it’s not possible to browse blogs by category, though the website’s keyword search function does allow users to search for terms within blogs exclusively. On the other hand, the quality of post content makes combing through the many options more than worthwhile. Because all posts are created by project managers and for project managers, the professional insider wisdom conveyed on this website is hard to beat. Readers who take the time to discover and follow a specific project management blog that specifically addresses their industry and concerns will be well rewarded. Blog Entry Highlight: PM tools must support decision making, not replace it! Best For: Aggregation of project management industry blogs by and for professionals. 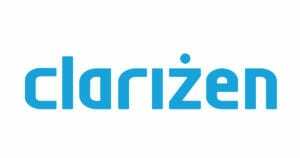 Clarizen is a popular SaaS enterprise-class project management software and collaborative work management company, and their blog is designed to deliver “collaborative work management insights to move your business forward.” As with other project management blogs hosted by PM software companies, the Clarizen blog strikes a balance between posts related to the parent company and its products (“Clarizen in Action: Hodges-Mace”) and others covering more general topics in project management, such as “Three Warning Signs That Your Project Managers Are Burning Out”), with far more of the latter type. Project management newbies can find a number of blog posts addressing beginners, such as “How to Build a Team (When YouÕve Never Built One Before)” and ” What Are Some Good Risk Management Techniques?” Like Clarizen’s software, this project management blog aims to be intuitive, clear and user-friendly, and readers will find the site easy to navigate and the posts easy to read, with most blog posts taking about 5-10 minutes to complete. Best For: Broadly applicable and practical project management tips, clearly annd briefly expressed. Posts are well-structured and professional in tone, and offer up clear advise bolstered by charts, templates, videos, and links to further resources and solutions (often, Project Manager software tools). 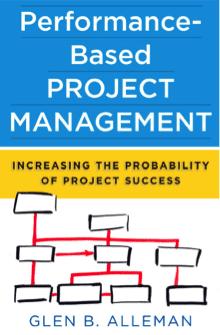 Best For: Highly practical project management professional advise, with an abundance of useful links, videos, charts and templates. Online project management software company, LiquidPlanner, is known for their flexible, platform-independent planning program. Cisco, Cliff Bar, and Bayer are among this SaaS company’s high-profile clients, but small companies and entrepreneurs use it as well. LiquidPlanner’s project management blog which addresses a broadly-applicable range of issues in the project management field, such as “How to Prioritize Work When Everything Is #1,” “6 Essential Skills for Project Managers,” and “How to Manage Generational Differences on Your Project Team.” Many blog posts are written from the perspective of a software development project manager, yet tend to feature advice and ideas that would apply to a range of industries. Because LiquidPlannner software is especially focused on facilitating group collaboration and communication, many blog posts address issues specific to project management teams, such as “4 Guiding Principles for Leading Remote Project Teams,” “5 Governance Steps for Distributed Project Team Management,” and “7 Reasons Why Product Teams CanÕt Prioritize Their Work.” Blog posts frequently include “Ask a Project Manager” advice, product tips, slideshows, and links to related free e-books created like LiquidPlanner, making this project management blog a good resource for clients and non-clients alike. Best For: Resource-rich project management blog with advice on team management, productivity and collaboration. Less complex than an advanced tool like Microsoft Project, more rich than many SaaS project management tools, Workzone is a web-based software platform for project management and collaboration that features a user-friendly interface and abundant templates, and also supports more involved options, like task dependencies and custom forms. 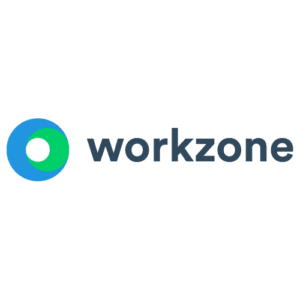 The Workzone project management blog has many of the same qualities as their software: a clean visual layout, clear and readable content, and project management features that apply across a range of industries. In fact, many Workzone users are not professional project managers, and the company’s blog, accordingly, includes posts that address project management beginners and those in related professions, such as marketing. Archived project management blog posts are searchable, and divided into categories: Project Management, Marketing, Productivity, Business, Products and Higher Ed. As a corporate project management blog, the site includes regular posts that highlight the company’s software solutions, such as “How To Improve Your Project Management: Success Strategies from Workzone,” “How Much Does Project Management Software Cost?” and “How You Can Save Time With Project Templates in Workzone.” There are also a number of links included downloadable project management software guides, making this site a good fit for Workzone users. Best For: Project management guidance that address beginners as well as pros, plus lots of company software tips and insights. A Girl’s Guide to Project Management describes itself as “a blog for project, programme and portfolio managers and project delivery professionals,” that offers readers “tips, tools and advice for managing projects with more confidence and less stress.” UK-based blog host, Elizabeth Harrin, has been writing project management blogs since 2006, and has a wealth of advise and insights to offer, as well as several free downloadable project management resources, such as templates, toolkits, and guides, plus additional training courses and ebooks. Recent blog posts have included “How to Create a Project Team Culture with Colin Ellis,” “What Kind of Project Manager are You?” and “8 Free and Low Cost Project Management Resources.” This project management blog is aimed at women in the field, but speaks to a broad audience, from beginners to experienced professionals, and covers software reviews, career advise, professional tips, and interviews. Best For: Project management blog targeting women, and covering a broad range of content and experience levels. Watermark Learning provides workshop-based training to business teams in business analysis, project management, agile, business relationship management, business process management, and influencing skills, and provides professional project managers with study tools and boot camp classes for PMP and PMI-PBA. The Watermark Training project management blog, accordingly, also covers topics in business analysis, business relationship management, and enterprise analysis, and takes a practical and informative approach to each subject. The project management blog is divided into no less that 48 categories and sub-categories, such as Agile, Leadership, PMI, Certification, and Estimating and Planning. Recent project management blog post topic have included ” The New PMBOK Guide Ð What It Means For PMP Certification And More,” “5 Daily Tips for Successful Projects,” and “Transition to Project Management.” Blog posts frequently include links to related training courses, and readers may wish to follow the Watermark Training Podcast as well. In addition to its project management blog, the Watermark Learning website has a number of useful resources, including Project Management Industry Links, Professional Tips, Project Management Articles, and Templates. Best For: Practical and hands-on project management information, plus access to a range of project management professional resources. While come blogs have a wide reach, this site clearly targets industry professionals, with information-dense articles on topics like “Project Managers Stepping Up: Bridging the Gap Between Strategy and Delivery,” “Projects Online: the New Rules of Engagement,” and “Scope Creep, Unrealized Benefits, and Failed Projects.” Because this project management blog is hosted by a training company, rather than a software company, articles cover project management careers as well as professional practices, with posts like “How to Highlight Skills in a Project Management CV.” Articles are fairly long and information-dense, requiring a reading time of about 20 minutes. This project management blog has over 50 contributors, many of them leading Project Management Professionals (PMPs) or PMO Consultants, so readers hear from an array of highly-competent experts. career opinions and advice from a range of perspectives. As the tile implies, this project management blog features humorous, straight-shooting advise for project managers, particularly those in the field of software development. Blog host, Glen B. Alleman, is the author of a program and project management guidebook entitled “Performance-Based Project Management,” which lays out a clear framework for project success, and brings the same principles to Herding Cats. Alleman describes his project management blog as a resource for “Performance-based project management principles, processes, and practices to increase probability of project success.” Posts on this project management blog can be quite dense, with topics such as “Microeconomics and Risk Management in Decision Making for Software Development,” and ” All Software Projects are Non-Deterministic.” All are well-researched and tend to reflect the author’s strong opinions and advanced expertise, with a lengthy average reading time of around 20-30 minutes. Herding Cats has won a number of recognitions, and was included in “Top Management Resources” by TopManagementDegrees.com, and “Top 50 Software Development Blogs” by Feedspot. Best For: Technical and intensive guidance on program and project management in the software development field. The History of Project ManagementWhat is a Project Management Degree?